2018-09-11 The Eritrean–Ethiopian border reopens for the first time since 1998. 2018-06-5 Ethiopia agrees to "fully accept" the outcome of the Algiers Agreement of 2000, which ruled that disputed areas, including the border town of Badme which Ethiopia currently occupies, are Eritrean territory. 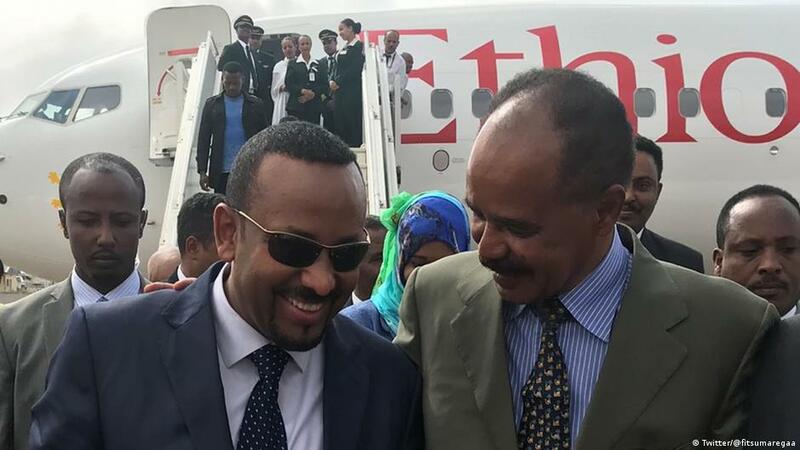 2018-07-18 International air travel resumes between Eritrea and Ethiopia for the first time since 1998. 2012-03-15 Ethiopian forces launch attacks on three militant camps inside Eritrea. 2011-07-28 The United Nations accuses Eritrea of attempting to bomb an African Union summit in Ethiopia.